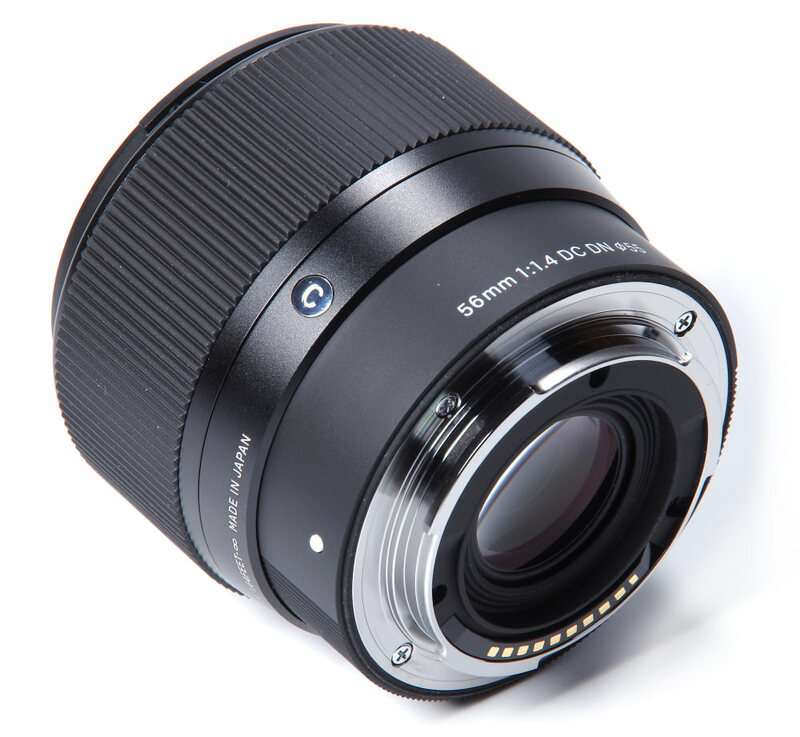 A new lens from Sigma in their Contemporary range, billed as having optical quality “approaching that of the Art lenses”, for MFT and Sony E APS-C format mirrorless cameras. 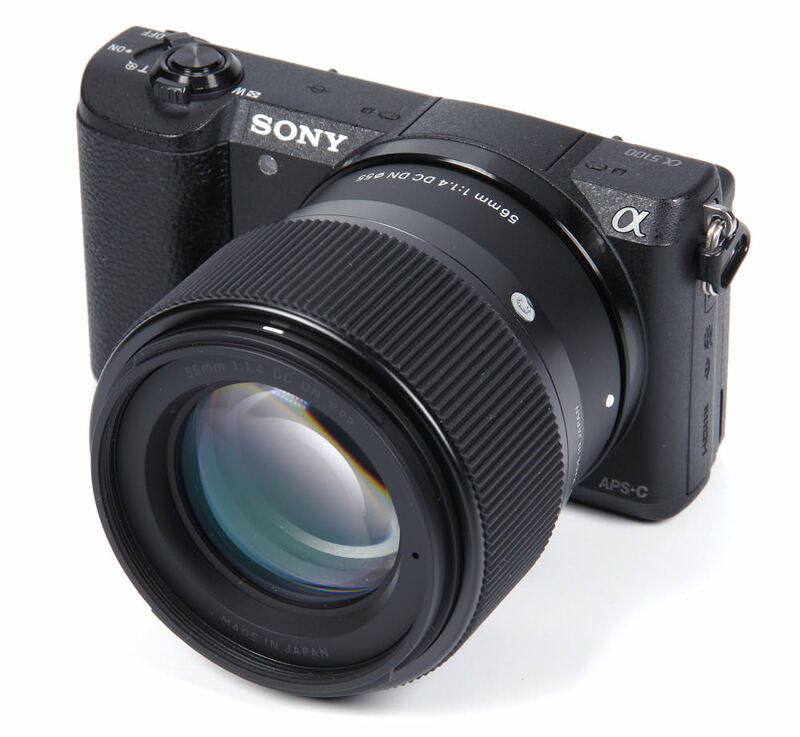 Reviewed here using the Sony A5100 24mp mirrorless body, giving a “35mm format equivalent” field of view of an 84mm lens. This is very close to the classic 85mm f/1.4, so it will be very interesting to see how it performs. Our tour of the lens starts with the provided round bayonet-fit lens hood. This is solid and attaches very precisely and smoothly, clicking securely into place with little chance of becoming detached. Within the bayonet fit for the hood we find a conventional 55mm filter thread. The finish on the lens is of a very high standard and it is described as splashproof and dustproof. The only other feature on the lens is the large manual focus ring. Focusing is down to 50cm, or 1.64 feet, a maximum magnification of 1:7.4, usefully close but nowhere near a macro lens. The manual focusing is electronic and also very smooth in operation. The focus mode is controlled by the camera and there is a DMF (Direct Manual Focus) setting on Sony bodies that enables manual tweaking after AF has locked on. These features are dependent upon the camera being used. The focusing is internal, so the lens does not change size as we focus. The AF is extremely fast and also highly accurate. The concept of “35mm format equivalent” enables us to get an idea as to the field of view compared to the well understood full frame. 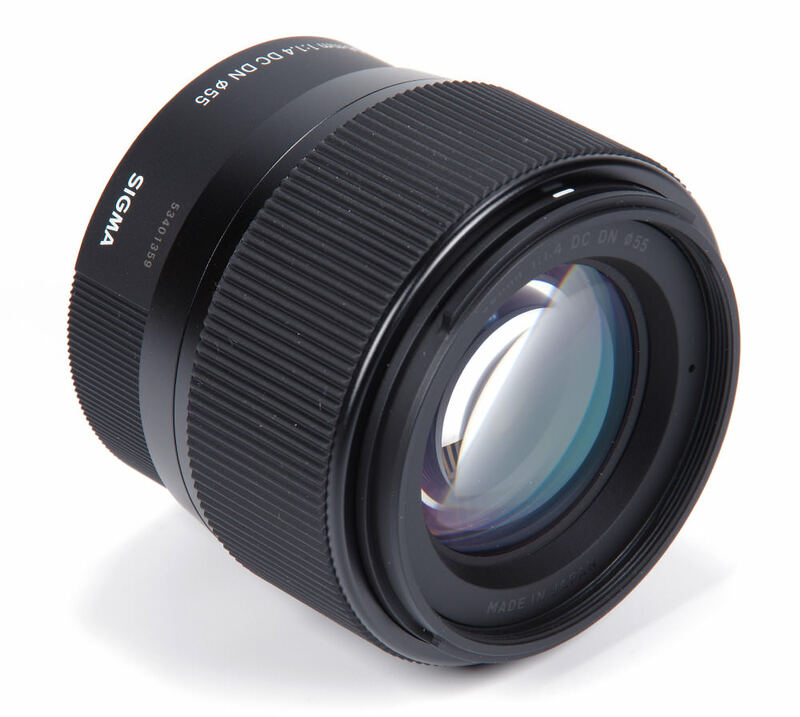 The equivalent on MFT format is 112mm f/1.4 and on Sony E mount 84mm f/1.4. This means that compared to a 35mm format lens, the Sigma is very compact. The equivalence does not extend to depth of field and smaller formats will offer increased DOF at any given aperture. This may well be an advantage in some ways, and a disadvantage when seeking to isolate subjects against defocused backgrounds. The MFT version of the lens weighs in at 265g, the Sony E mount version at 280g. The optical construction is 10 elements in 6 groups, with one being SLD (Super Low Dispersion) and one aspherical. 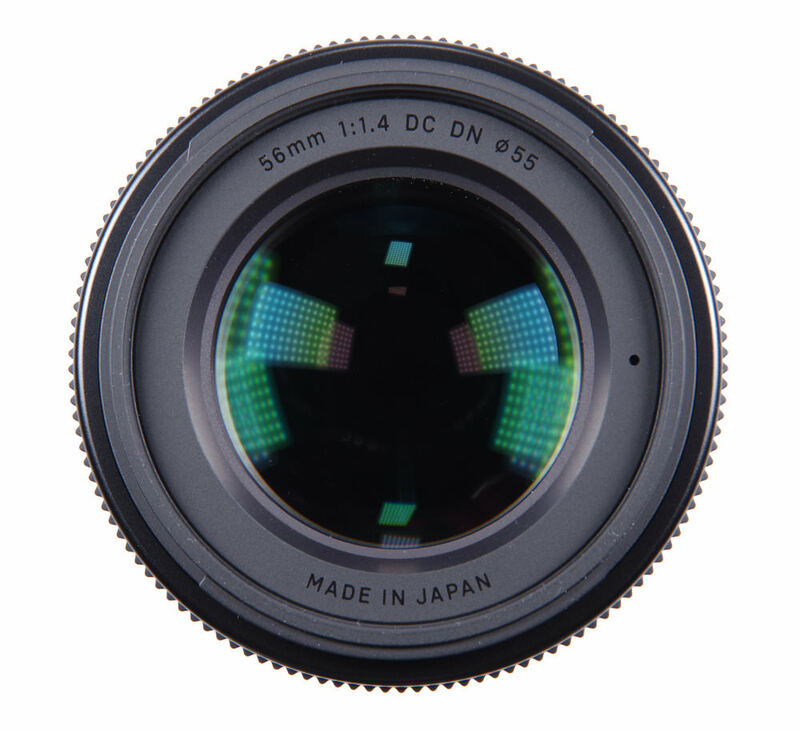 The diaphragm comprises 9 rounded blades, intended to improve the “bokeh” of the lens. There is no optical stabilisation, so we have to rely on a given camera body providing in-body stabilisation. The Sony A5100 does not offer SteadyShot, which for a short telephoto is a pity. In use, there is very little contribution from the lens itself apart from its optical qualities. All control is ceded to the camera body and although the overall package is quite compact, certainly fitting in a large jacket pocket, the controls are submerged in menus and not particularly convenient. If used continually on AF then there is little problem, but selecting little used features slows the whole process down considerably. This is not really the fault of the lens, however, more a drawback of ultra-compact camera bodies. The lens acquits itself in an exemplary manner. Wonder how version for m4/3 woild be? propably better because using more of center of lenses? I think it will be new best portrait lenses, because considering sharpness at full open and aperture, according to my calculations it will give DOF of 2,9 cm at portrait plane and nowaday best portrait lenses panaleica 42,5 1.2 in same conditions will give 2,6 cm of DOF. But this Sigma is more than twice cheaper, and propably sharper across full image.